With the first month of 2010 officially over, it’s looking like it’s going to be another catastic year—at least when it comes to all the videos, blogs, and general cat advice we’ve been seeing all over the Web. So without further ado, World’s Best Cat Litter™ brings you the Best of Cats on the Internet for January! You have heard of “Paranormal Activity,” a very low-budget film that had Hollywood in a stir. Well, we are happy to present you with Paranormal Cat-tivity! This is one playful kitten! His name is Sarchan. And by the looks of it, he is a non-stop bundle of furr power! Smudge and Pam give a shout-out to World’s Best Cat Litter™. Smudge was the winner of the Senior Cutest Cat Contest! Meanwhile, Prints the cat blogged about his trial of World’s Best Cat Litter™. Thanks, Prints, for providing such a thorough review! Here are some tips on creating a more eco-friendly home—for both you and your pets. One suggestion, for example, is to take shorter showers. Our furriends might suggest simply licking your hand and rubbing behind your ears more often during the day. It seems to work for them! 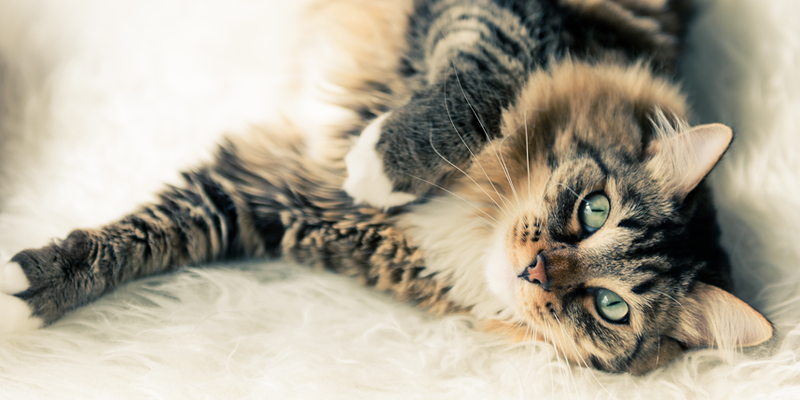 Of course, the blog mentions World’s Best Cat Litter™ … You could say, when it comes to pet, people and planet safe solutions, we’re a natural! We can’t wait to see what February brings. If you have anything you would like to share about your cat or one you have seen over the Internet, please show us by leaving a comment!